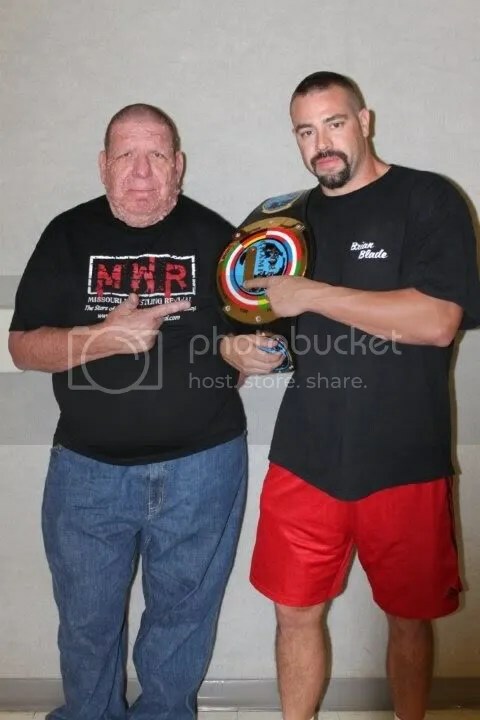 WLW Tag Team Champions Mark Sterling and Steve Fender continue their Dominance. 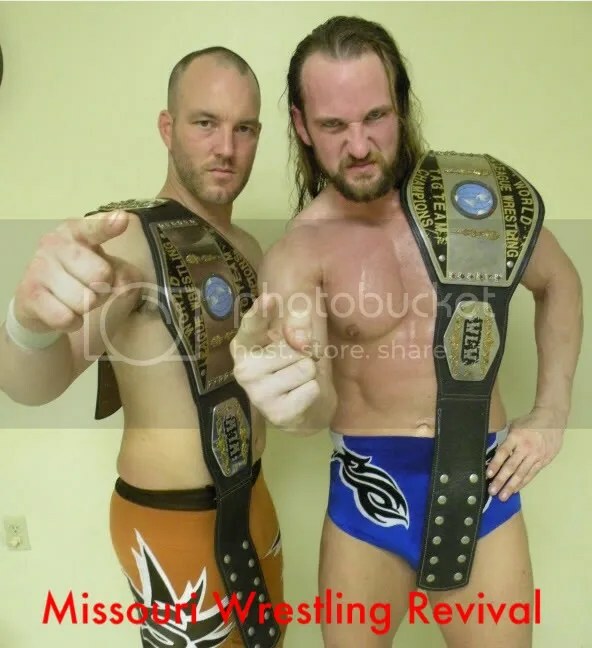 At one of the biggest shows of the year the current WLW Tag team Champions Steve Fender and Mark Sterling proved once again that they are one of the top tag teams in the game today. 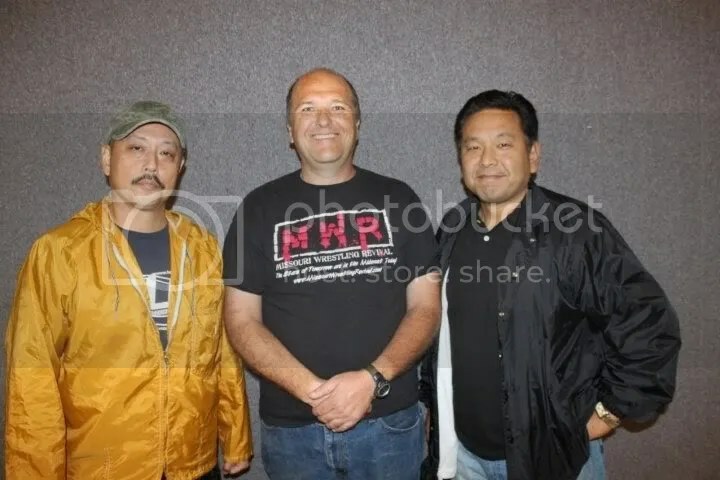 MWR was on hand front and center as WLW teamed up with Pro Wrestling NOAH for their annual camp with some of the top talent around the world. 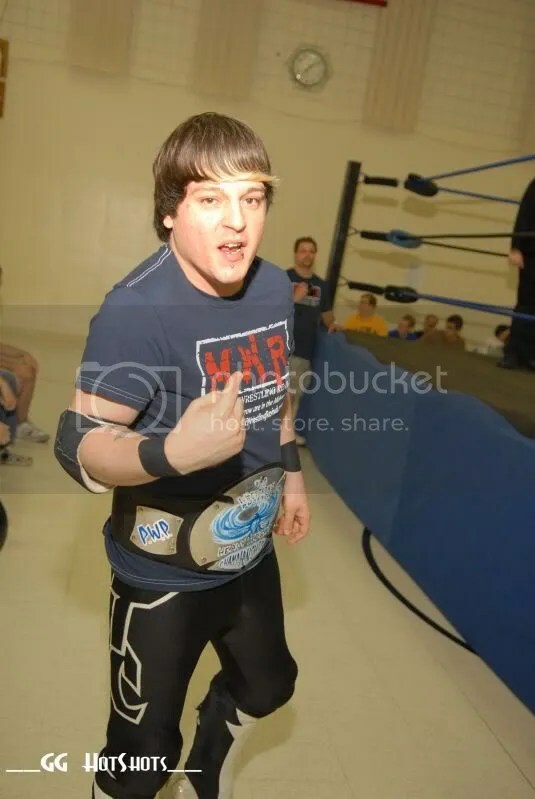 In a spectacular match Ryan Drago and the Cancun Kid attempted to get the title off the hands of who I like to call “Perfect Execution” Fender and Sterling. The Kid and Drago were just one millisecond away from becoming the new WLW Tag Team Champions. 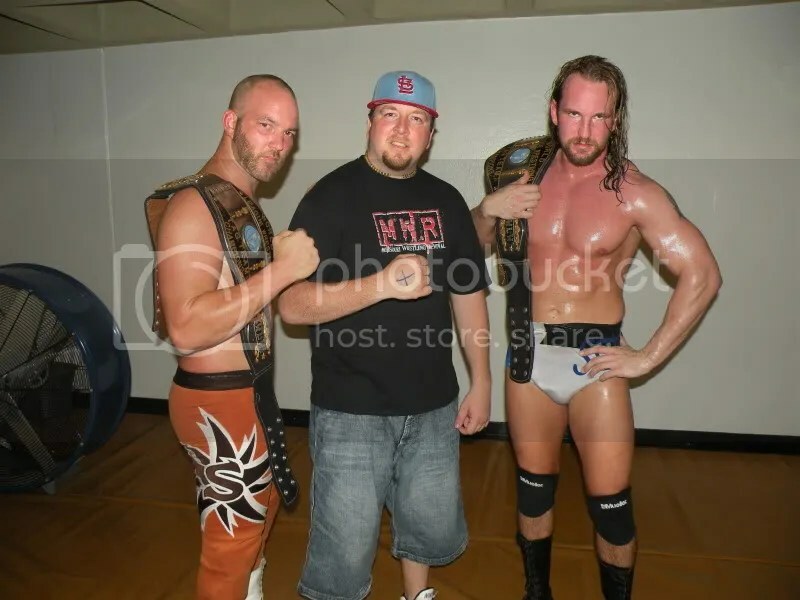 In the end it was more of the same as Sterling and Fender continued their stranglehold of the tag team scene in WLW. We got words from the Champs as well as the distraught young team of Ryan Drago after their match. 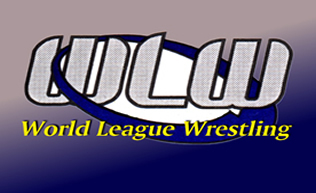 Missouri Wrestling Revival returned to World League Wrestling on July 17th in Park Hills Missouri. In this edition of Dubi meets the fans, Dubray Tallman was unable to take part due to being under the weather. I was not alone as I was joined by MWR photographer’s Bill Smith, Mike Van Hoogstraat and his good friend Larry Endicott Sr.
To say that MWR felt as this double main event between WLW Champion Trevor Murdoch and Trent Stone in a leather strap match plus WLW Women’s Champion Amy Hennig meeting Santana G was a big deal would be an understatement. You never know how hard it is to do a job till you have to fill those shoes, that would not be more evident that what it was on this night. First up was young Austin Coleman from Farmington who chose the young exciting Cancun Kid. 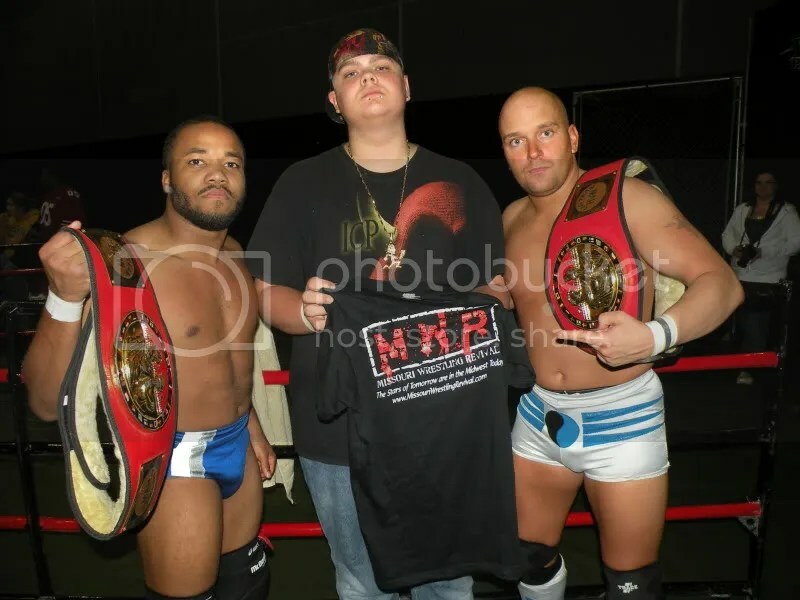 His sister Jersey was all decked out ready for the matches and quickly became a fan of Santana G.
Mike and Braden Chapman sat in the Golden Circle and were more than happy to have their picture taken with former WWE Tag team Champion and current WLW Champion Trevor Murdoch. 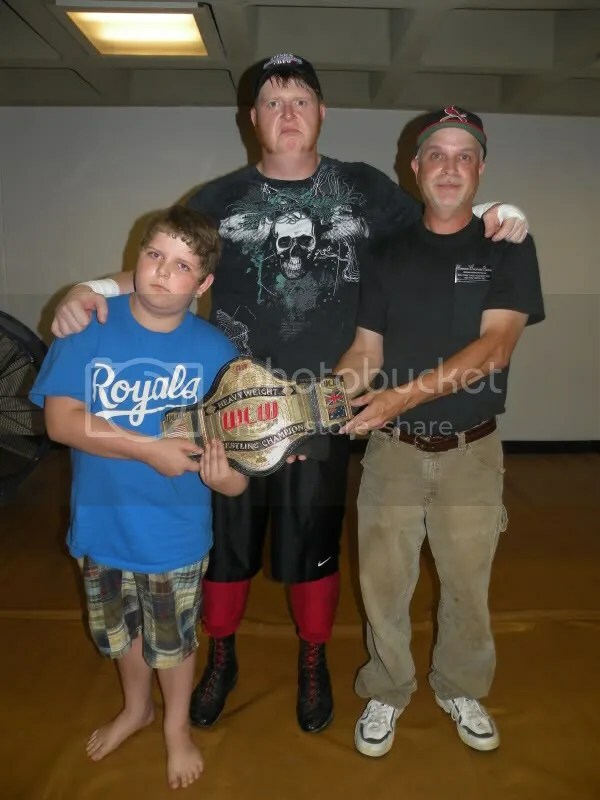 Mike and Braden Champan with WLW Champion Trevor Murdoch. 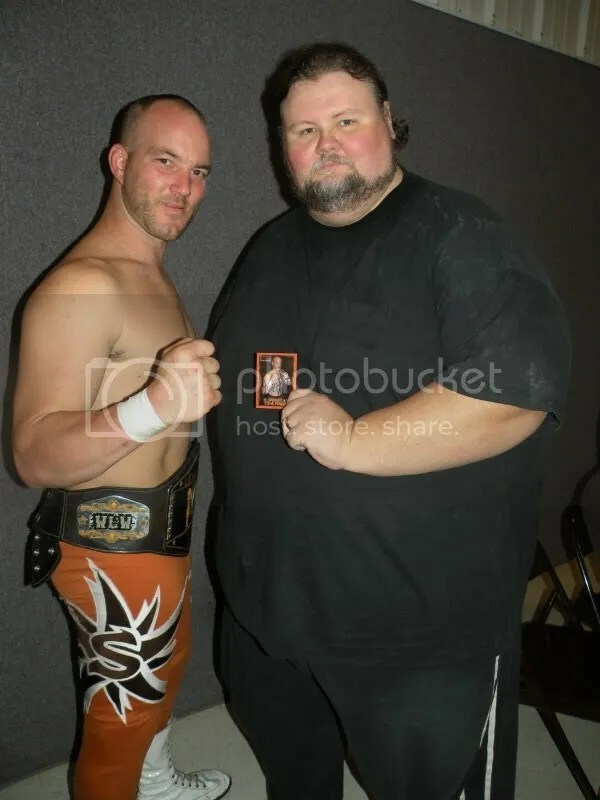 Also checking out WLW in the golden circle were Jason and Jonah from Lappe and they wisely chose Trevor Murdoch as their favorite wrestler. Cody Drennen from Potosi had chosen Santana G as his WLW favorite and I had to laugh after I took the picture Santana G innocently asked “Did you get my new boots in the picture?” How can you not love the talented Santana G? Two kids were very excited about WLW wrestling were Alan and Zach who I spotted throughout the night getting autographs and conversation from stars like Chris Hargas and Trevor Murdoch. 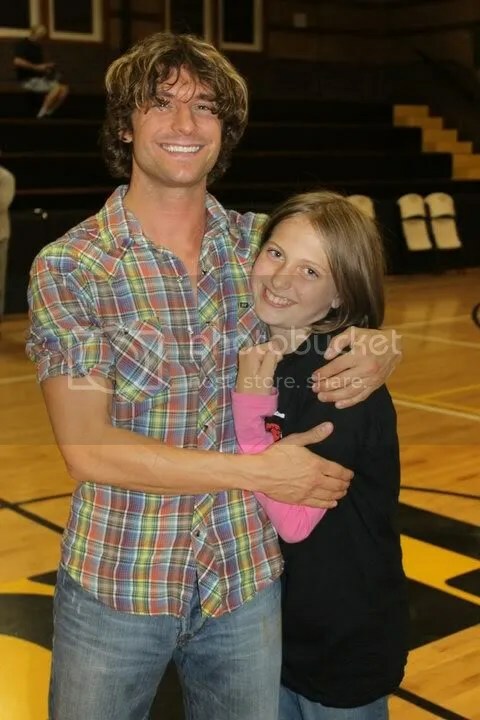 While I was getting to know Charlie he told me that he worked at Off-Sets and Zip and Dip which just so happens to be Southeast Missouri’s best place for zip lines, swimming, camping, and even doing archery with equipment from Archerypro or just hanging out with friends or family. I have not told Dubray about this yet because though I plan on taking her when we can fit it in the schedule of our wrestling coverage, she will not let it rest till we go hehehehe. For real I am excited about checking out the place. 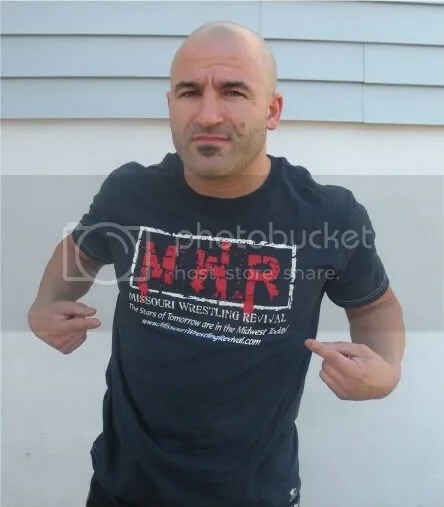 Charlie was kind enough to support MWR and both asked to get MWR shirts for themselves. 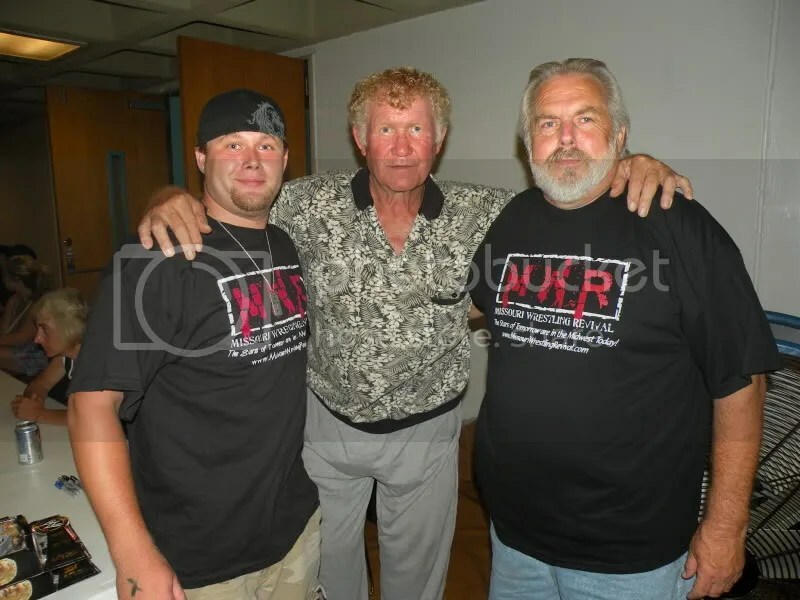 For their wrestler they were happy to have the one and only Harley Race. A wise choice if I may say so. Bianca Hernandez was up next and took the chance to have her picture taken with the WLW Champion Trevor Murdoch. 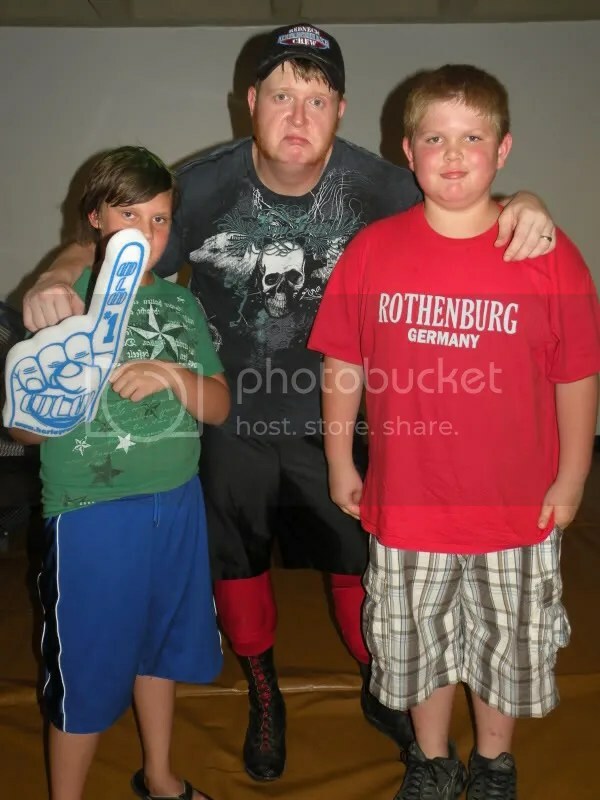 Up next was a great wrestling fan that we at MWR are grateful to have the support of it Kyle Valle. Kyle amazingly found a MWR Shirt at a second hand store. 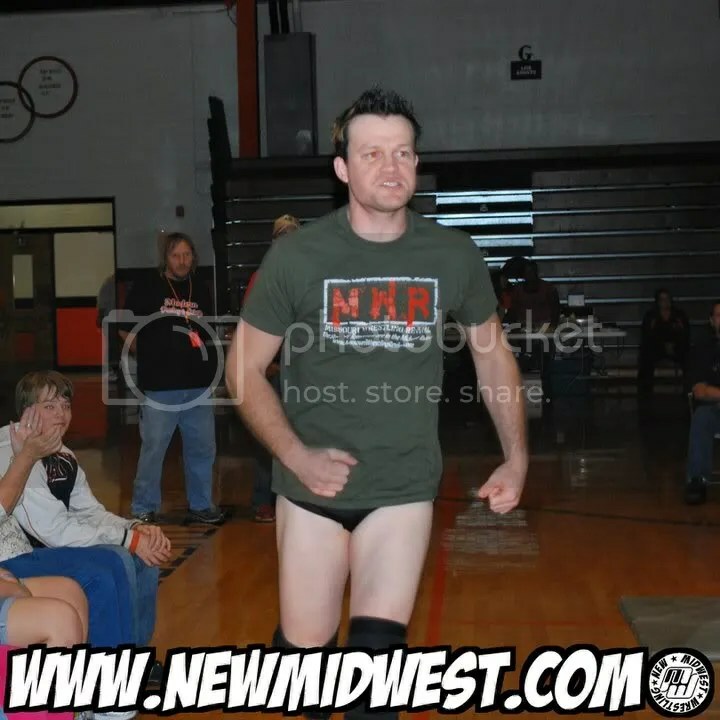 So my question is which MWR Fan gave up your shirt? Just playin, in our 3rd year we have given away and sold close to 200 MWR shirts and I would have to believe that the shirt could not have been found by a better fan. 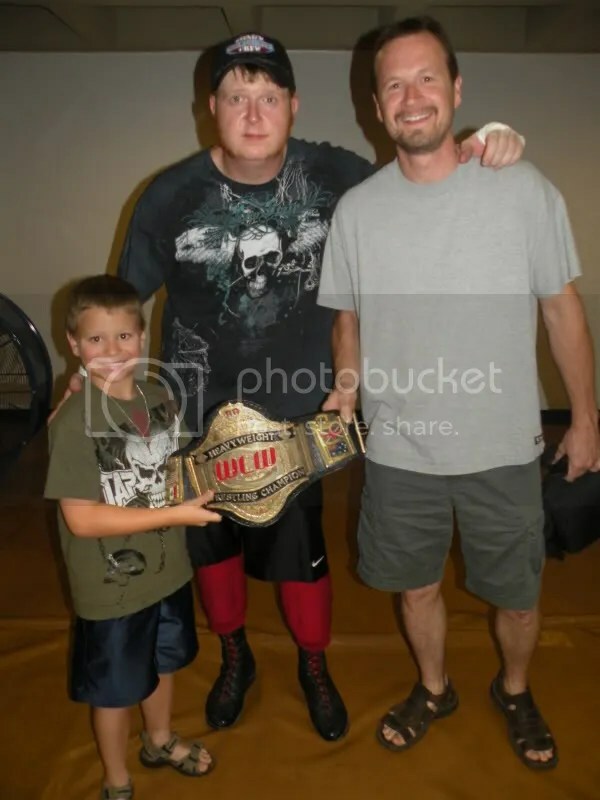 Kyle had a lot of interest to get his photo taken with one of the Midwest most dominate WLW Champs Tag Team and the MWR of 2009 Steve Fender and Mark Sterling. I have to apologize to Melissa Thurman, Melissa and her husband were two of the first people that I spoke to. They were very nice and I enjoyed getting to know them both. Jimmy was the wrestling fan but she was looking to have a good time. She quickly stated that she wanted her picture taken with Amy Hennig (Wise choice I may add) and just my luck I happen to have lost that photo. 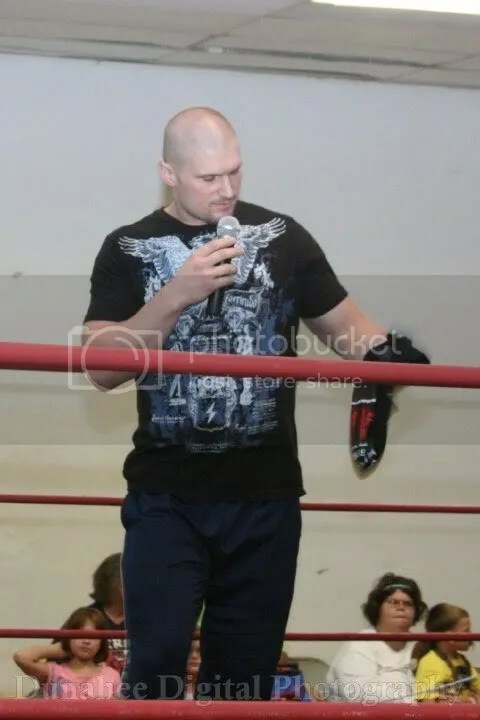 Her husband chose the man of the night Trevor Murdoch. Melissa I would like to make it up to you personally so if you would contact me at flairwhoooooo@yahoo.com and we will see if I can make amends. A great night of wrestling that lived up to the hype in Park Hills Missouri with some of the top stars in the game today. 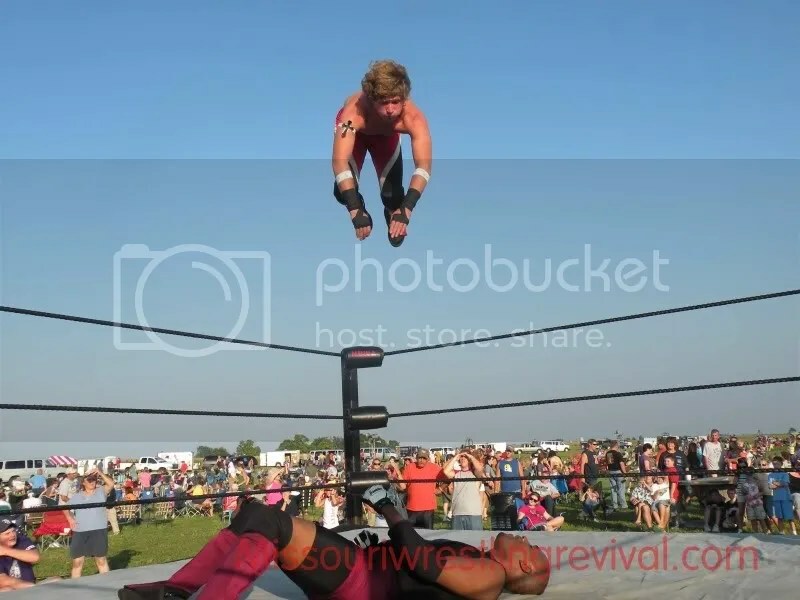 Look in the near future from a Photo Recap from Mike Van Hoogstraat and more information of the WLW/NOAH camp coming to Eldon Missouri in October. Join us in Woodriver Illinois this Saturday for more exciting wrestling action when we return to out friends at MECW. 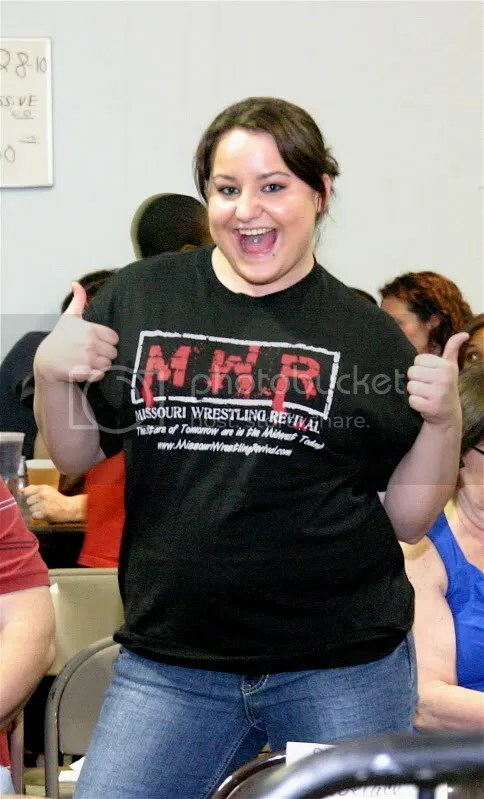 Plus have the chance to catch a MWR T-shirt from a MECW Superstar.